Masayuki Tawarayama, born in Tokyo in 1963, started to play music when he was in middle school, and his first instrument was the acoustic guitar. He then took up the electric bass guitar when he was in high school. By age 19, he had started to play the double bass as a pro. His first recording was at age 26 in the Mikio Masuda trio, led by Mikio Masuda on the piano and accompanied by Masahiko Osaka on drums. Tawarayama has played with a number of prominent players including Yuji Ohno, Sadao Watanabe, Terumasa Hino, Yosuke Yamashita, MALTA, TOKU, and Kei Kobayashi, among others. Recently, Tawarayama leads the TOWER STATION quintet. He also performs in the Samurai Bebop Trio, the Issei Igarashi Quartet, the Makoto Oka Quartet, the Tomomi Fukui Trio, and the Hirotaka Nakagawa Group. Those who play with Tawarayama highly appreciate that his performance is very much reliable for its stable beat and elegant bassline. 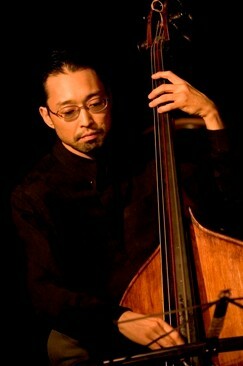 In 2010, Tawarayama was chosen the seventh most popular jazz bassist in the annual survey conducted by "Swing Journal", a Japanese leading jazz magazine.